[intro] Mothers can lead the way in supporting our responsibility to reduce obesity. [pullquoteright] This might be the first generation where kids are dying at a younger age than their parents and it’s related primarily to the obesity problem. When study after study explains that one third of Americans are obese and another third are overweight the question it raises is how did we get this way? When you look back in human history, it wasn’t always like this. Remember the term hunter gatherer? Historyworld.net shares for almost the whole of human history, from at least 3 million years ago, mankind has lived by carrying out these two basic activities of hunting (or fishing) and gathering edible items of any kind (from fruit to insects). We are unusual among animals in combining the two functions, and we have been greatly helped in both by the development of language. But basically, as hunter-gatherers, we have lived by doing what comes naturally. The change comes a mere 10,000 years ago, when people first discover how to cultivate crops and to domesticate animals. This is the most significant single development in human history. What’s the term commonly used to describe this new method of sustaining life? Farming brought at least two major changes to human communities. Of the major farm animals put to use; the pig, goat, horse, sheep and cow, the cow was the most significant in terms of production because it was the only animal that produced far more milk than it’s young could use. The oxen gave man the muscle power that he never possessed previously. The second major dynamic was that man’s population had the ability to greatly increase from the hunter gatherer, greatly nomadic and reduced life expectancy model. We now had the ability to stay in one spot, store food and form villages. We also had a greater ability to over eat. This is where the human population began to greatly expand. Historyworld.net continues; the new diet of settled farmers – predominantly vegetarian, with meat now an occasional luxury – results in one small but significant development. Salt becomes an important commodity in human trade. A physical necessity of human life, salt exists in sufficient quantity in a diet of milk and of raw or roasted meat. It is not present in vegetables, grain or boiled meat. Agriculture in many areas of the world only becomes possible if a trade in salt is established. Instead of relying on food from one village, mankind could trade for food around the world. As we speed up to modern times, npr.org provides us with some unexpected and alarming news. 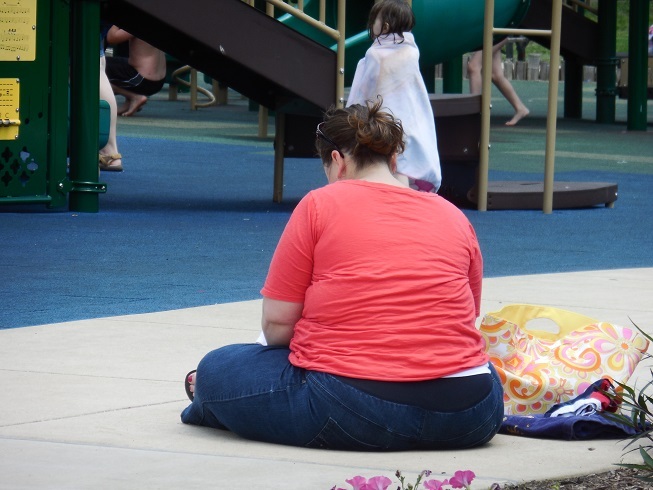 The number of obese Americans soared during the 1980s and 1990s, doubling among adults in the U.S. and tripling among children. Sedentary lifestyles and changes in eating habits have contributed to weight gain, as more Americans work at desk jobs, use electronic devices and get served increasingly larger portions at restaurants. Mr. Kelly Brownell is a professor in the Department of Psychology at Yale University, where he also serves as professor of epidemiology and public health and as director of the Rudd Center for Food Policy and Obesity. Usatoday.com provides us with some hope reporting obesity among U.S. adults is continuing to level off after several decades of skyrocketing growth, new government data show. Rt.com/usa/food-obesity-health-us contributes by 2030; more than half of Americans could be obese, taxing the nation’s health while costing the country $500 billion in lost economic productivity. The food industry, however, is doing its best to keep the public hooked – no matter what the price. [pullquoteleft] Childhood obesity is best tackled at home through improved parental involvement, increased physical exercise, better diet and restraint from eating. What can help stem the tide? The starting place of any real change is internal. It often has to do with perception. This is most likely where the battle is being lost. Not only do many Americans struggle with weight problems, but they often harbor misperceptions about their weight—considering themselves in the correct weight range when they are actually unhealthily overweight, or the reverse, considering they are overweight when in fact they are not states infoplease.com. •	Almost twice as many women as men who are not overweight think that they are. 25.3% of men and 47.9% of women defined as within their normal weight range think they weigh too much. •	Overweight women are more realistic than overweight men in recognizing themselves as overweight. 91.8% of women defined as overweight perceive themselves as such, whereas only 83.4% of overweight men consider themselves to be so. Once a person is willing to investigate and if the evidence supports it, acknowledge they are overweight, the October 17, 2013 Usatoday.com article generously shares some great starting place advice. Sources: www.huffingtonpost.com, www.historyworld.net, www.sciencedaily.com, www.cdc.gov/women, www.mchb.hrsa.gov, www.npr.org/2012, www.usatoday.com, rt.com/usa/food, www.infoplease.com, www.foodtimeline.org, photos courtesy Wikimedia.